Pablito Calvo (real name Pablo Calvo Hidalgo) (16 March 1948 – 1 February 2000) was a Spanish child actor. 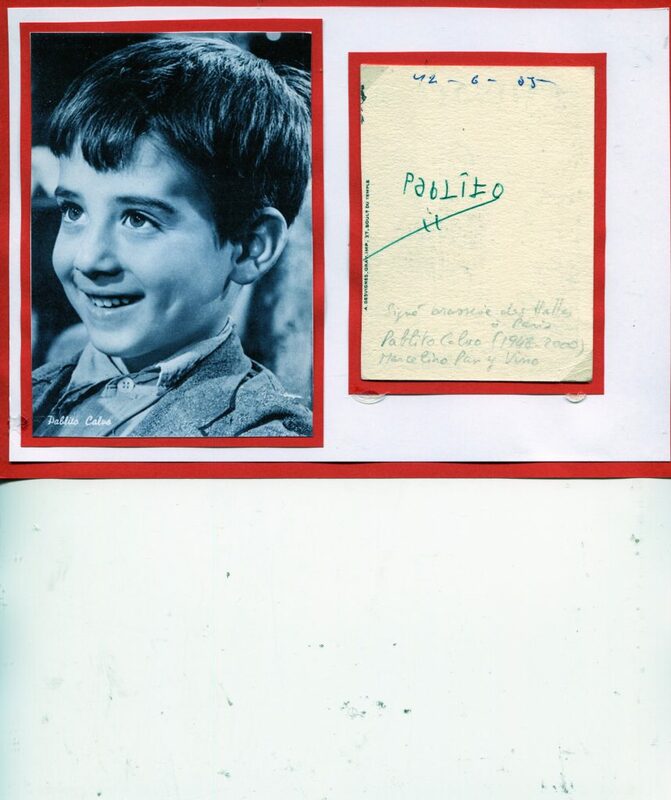 After the international success of Marcelino, pan y vino, where he won a Cannes Film Festival award (1955), he became Spain’s most famous child actor. He did five more films, even in Italy, with Totò. Retired from acting at the age of 16 to become an industrial engineer later, he worked in tourism and promoting buildings in Torrevieja.